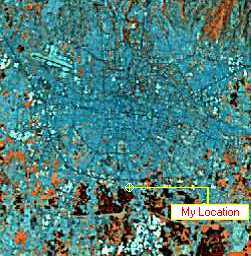 The Coordinates and elevation of your location are need to get some required information for spatial database. You can use basemap or topographic map or GPS data to give me about your location. Projection system: UTM (South of Equator); Spheroid: WGS84; Datum: Indo_G (Jakarta); Unit: meter; and Zone No: 48 (CM=105E; R=102E-108E).